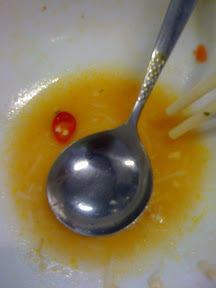 Think I've been to bo de trai before, it was … interesting food. Haven't thought about a revisit though..
Ugh I hate vegie bar. Probably for irrational reasons. It's probably the epitome of the place I avoid because of the people who go there. 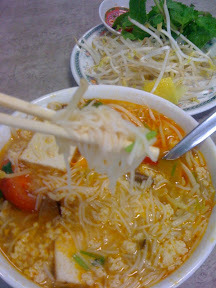 That, and the Hokkien noodles I had there about six years ago was the worst Hokkien noodle I've ever eaten, and I'm not shy about eating in food courts. Staff very unfriendly, walked past between the bar and kitchen where there is no clearly visible no customers beyond this point signs and is a close access point to the courtyard and one of the staff yelled at me like I was a naughty child in primary school. Found the whole ordeal very embarrasing and considering the long waits for seating all our friends and I decided to give the food a miss. I used to work at Vegie Bar! 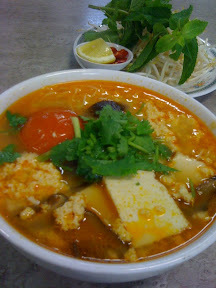 Still have not been to Bo De Trai – bad bad Footscray resident. Looking forward to it soon.